The children, in particular Lucia, also gave prophesies and foretold visions that are now referred to as the Secrets of Fatima. Francisco and Jacinta were eventually beatified by Pope John Paul II in 1989, while Lucia became a nun, later joining the Discalced Carmelite order where she took on the name of Sister Maria Lucia of Jesus and the Immaculate Heart. She died on February 2005 at the age of 97, with her possible canonization being examined by the Vatican. 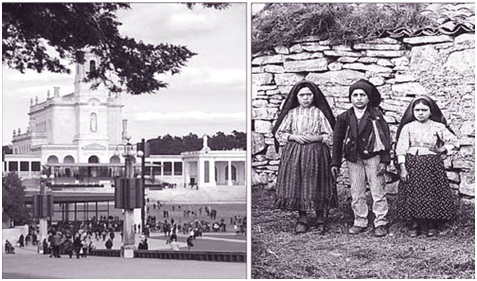 In Fatima, there are a lot of small shops selling souvenirs and among the most popular are religious items like statuettes of the Our Lady of Fatima, rosaries, even holy water and books about the story of the children of Fatima. Filipinos are really everywhere. We came across a Filipina married to a Portuguese who owns one of these souvenir shops, and she seems to be doing well judging by the number of tourists who were buying up numerous items to bring home to their friends. She warned us about a number of “tourist traps” that people should be wary about, like items being passed off as wood but are really made of resin, or plastic items that are being sold at outrageous prices.